Cuba’s National Assembly convened on Wednesday to establish the candidacies for the president, vice president, and cabinet positions of the country. All such positions fall under the auspices of the Cuban Communist Party as per the constitution of Cuba. Díaz-Canel was the only candidate on the ballot for the presidency, though Raúl Castro remains the leader of the Communist Party, outranking President Díaz-Canel. The newly-minted president, whose powers largely include convening National Assembly meetings (all members of the assembly are members of the Communist Party and vote according to Castro’s wishes), did not employ any nuance in accepting that his position as president did not grant him the power to run the country. Díaz-Canel warned outsiders that he would not allow any changes in the way the Cuban government operated. “I ratify that Cuba’s foreign policy will remain inalterable. Cuba will not accept conditions,” he added, without specifying what type of conditions he meant. “To those who, either because of ignorance or bad faith, doubt our commitment, I must say that the Revolution continues and will continue. The world has received a false message that the Revolution has done away with its warriors,” the president added, presumably a response to international mainstream media coverage claiming that the Cuban regime was at a “transformative” crossroads and that the replacement of Castro with his preferred comrade would somehow change the regime. At half an hour, Díaz-Canel’s first speech as president is significantly shorter than the average speeches delivered by Fidel and Raúl Castro, which could easily last over four hours. 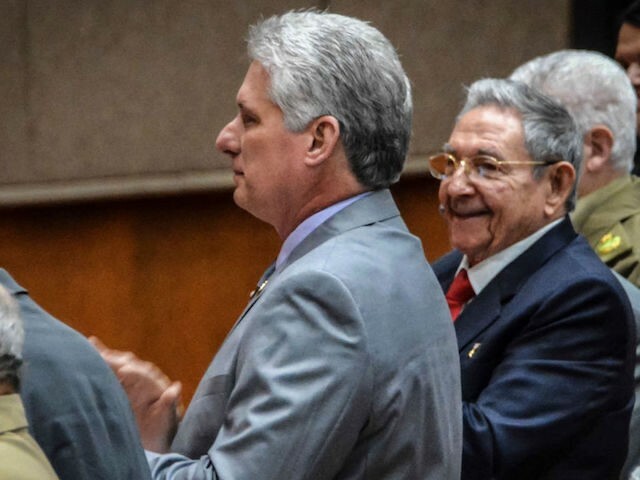 In addition to submitting to Castro’s prolonged leadership, Díaz-Canel will have to contend with a coterie of younger Castros scattered throughout the government. The highest ranking other than the Communist Party chief is Colonel Alejandro Castro Espín, Raúl’s son, who controls State Security.